Bridgetown, Barbados — Chadwick Walton picked up where Shacaya Thomas left off, stroking his third First Class century, to help the Combined Campuses and Colleges stay on top on Day 3. Veerasammy Permaul gave Guyana the ideal start to Day 3 getting rid of both Thomas and Steven Jacobs in quick succession. Overnight, Thomas was unbeaten on 161 but he could only add 16 runs before being trapped Leg Before Wicket. 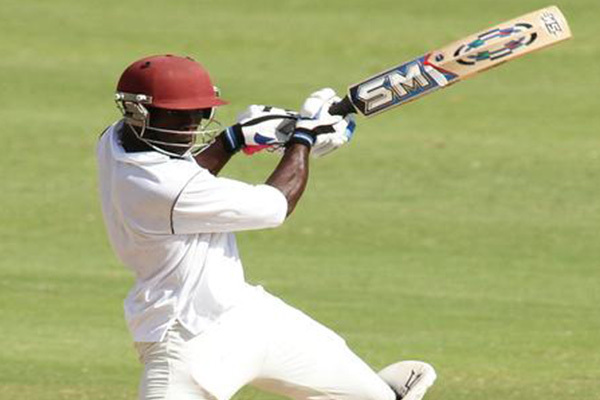 Guyana 2nd Innings: 82/1 (39 Overs). Leon Johnson* 34*, Tagenarine Chanderpaul 34*, Assad Fudadin 8; Kevin McClean 10-2-31-1, Ryan Austin 11-5-10-0, Akeem Dewar 3-0-4-0.